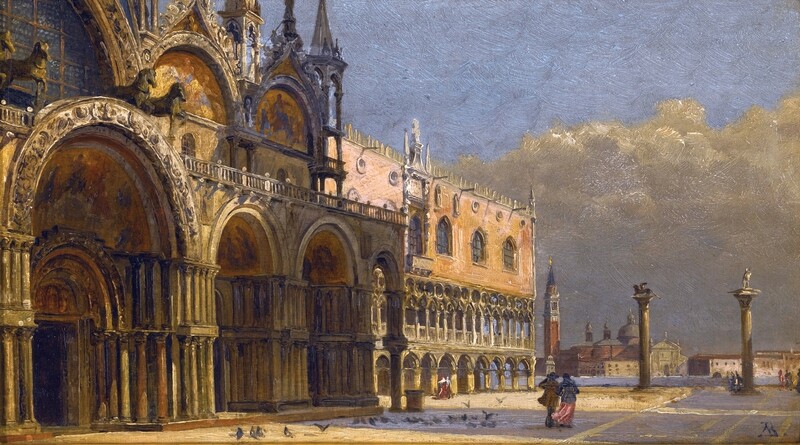 Antonietta Brandeis (Austrian, 1849 – 1910) created this lovely scene from St. Mark’s Square, Venice, Italy. This tiny oil-on-panel work measures 13 x 23 cm (5 1/4 x 9 inches) and it is held in a private collection. Posted in Artwork, Big Picture | tagged arches, architecture, art, fine art, Italy, oil paintings, paintings, urban, Venice, women in art. The permalink.